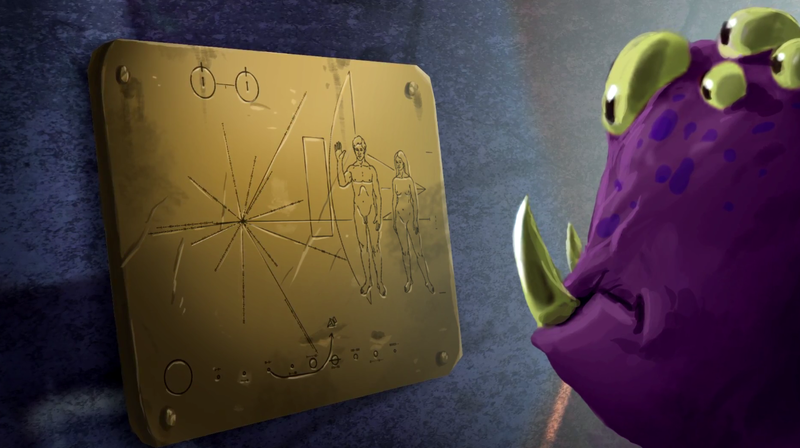 In the year of 5616 Tchiss Era, or XXI Century conventional Earth time, a space shuttle from planet Adryssis stumbles upon an old space probe bearing a metal plate with indications on humans and the information needed to reach their planet. Fascinated by this unexpected discovery, the supreme Adryssien leaders are eager to find out more about these humanoids. They expedite an undetectable shuttle with a camouflage expert to bring back information on the human and his planet. The mission is swiftly and successfully completed : the expert having retrieved photos, a computer and a history book. Scientists analyze all the collected elements. Rapidly, these discoveries create a surge of enthusiasm within the Adryssien population. A television channel seizes the opportunity of this phenomenon and the programme Huge Bang Bang changes forever the daily lives of Adryssiens. Thousands of cameras are pointed toward ferocious gladiators personifying human avatars. 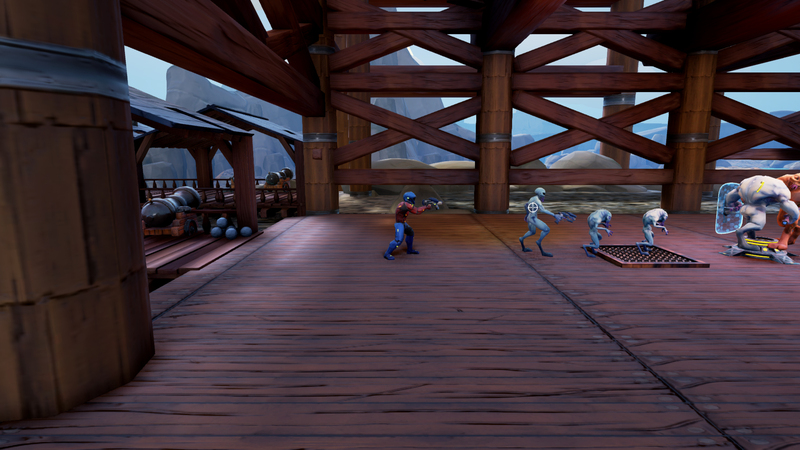 The programme’s producers push the concept further by creating holographic combat arenas inspired by landmark events and environments drawn from the History of Earth. That’s when you come in! You decide to try to become the best fighter in this new TV sport. Luckily for you, a sponsor, though somewhat dubious, comes to help you start out on your career. 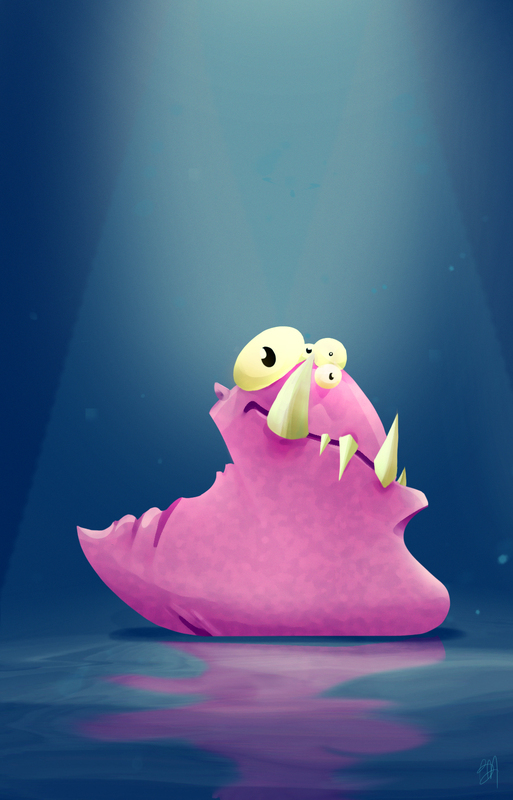 Adryssiens are aliens essentially made of a viscous matter rendering them jelly-like… no feet, no legs .. moving around like slugs. Physical violence has always been severely punished so that the Planet Adryssis has lived in peace for thousands of years. However, on discovering the Humans, things will radically change for them. The Huge Bang Bang programme is launched. All of the Adryss without exception are watching. You are part of the show.. you are Gladiator! Huge Bang Bang needs its community and has great rewards on offer! Greenlight in March, Huge Bang Bang is now on Kickstarter. To help finance the alpha development under the best possible working conditions. Indeed, the game has many needs, including sound design and FX parts. On top of that, it's also important to set up powerful servers to ensure online games' stability! Why support Huge Bang Bang? Our MOBA is ambitious. It’s a surprising mix of platform, RPG, action and MOBA. We're close to the finish line! Our desire: introduce Huge Bang Bang to gamers. Without you nothing would have been possible. If you feel you want to lend a hand, this is where it happens! 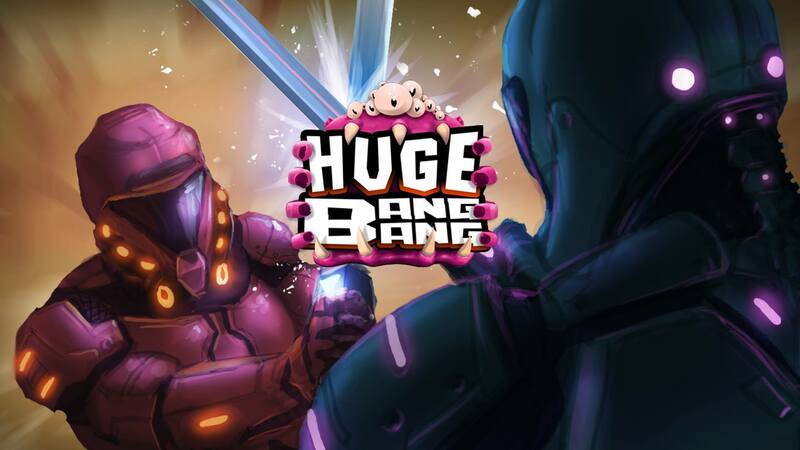 Today we're proud to announce the launching of our game Huge Bang Bang on Steam’s Greenlight! Looks fun, great use of soft 3d models and colors.